When designing your gardens or planters for your home, vertical gardens are often a very useful and visually appealing way to go. 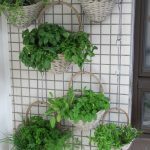 Vertical gardens can be used to create an outstanding space for your vines, flowers, fruits, vegetables, or plants and there are numerous ways to do so. The construction of these types of gardens vary with the materials being used and the types of plants to be grown. Vertical planters can be constructed out of a variety of materials such as wood. These types of planters are generally used for plants that need a loose medium of soil or a matt medium. Flowers that require to be grown in soil include such types as morning glory, nasturtium, climbing roses, jasmine, and wisteria. Wooden vertical structures can be created in many different ways. One way is to using wood to build a home for your plants by creating a book shelf planter with the horizontal supports installed on an angle so that soil or matting can be inserted into the space. Some of the plants that you may choose to use may require a more sturdy structure like an arbor or trellis. Most often, these wooden structures are used for plants that have a woody stem such as grapes, berries, and small melons. Another type of vertical planter is pre-made plastic containers. This type of planter is constructed most often out of a material that lends itself to stand up to the weather elements. There are wall units that are pre-formed and ready to use. All that the gardener has to do is acquire a space large enough to attach them to. 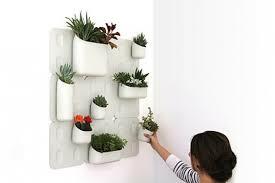 One type of plastic vertical planter resembles rows of loose smock pockets that are filled with soil for the plants. These types of pocket planters can be used as loose medium containers in some applications or a matt medium for others. Gardeners should take heed to the types of plants being used so that the greenery chosen will flourish in their surroundings. Some of the plants that flourish in pocket containers include such plants as sweet pea, grasses, and flowers. 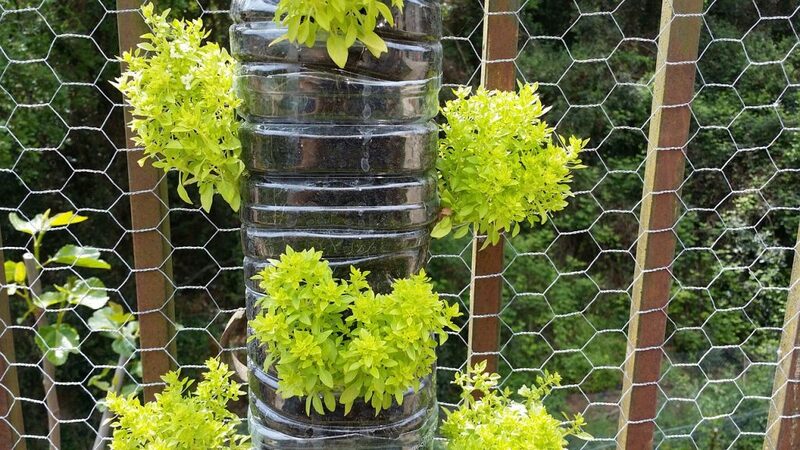 Many will find alternative ways to create vertical gardens which could be for a more modern look or perhaps a ‘greener’ homer. 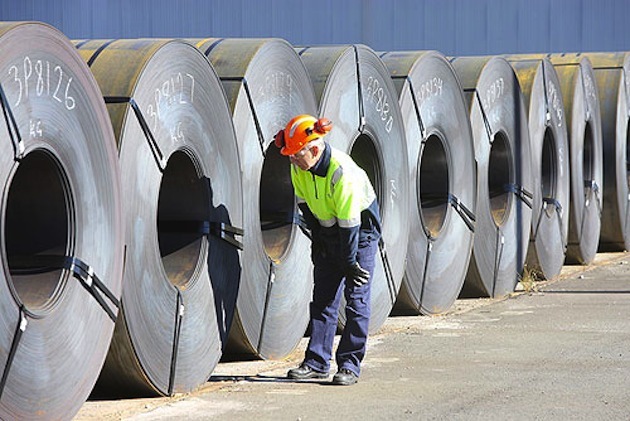 For example, using recycled coke bottles or tins. A simple painted wooden wall with assorted sizes of metal cans attached at different heights can look very trendy. Just fill them with soil and plants. When planning a vertical garden for a building or brick wall, the use of garden matts are essential. Made out of lightweight material, sometimes utilising felt in their construction, they can create a great vertical garden. You will need to attach the matting directly to the structure/wall. Care must be taken when choosing plants for this garden because of the thinness of the matt material. Plants will attach themselves to the matt and must be able to survive without soil. Plants that fit into this category include such types as ivies, grasses, or trailing petunias. Matts offer the freedom of replacing portions of the wall simply by cutting out the damaged or unwanted area of matting, and replacing it with a new section. These types of planting systems benefit from drip irrigation systems, and are not recommended for heights over 8 feet to minimise the effects of the environment on the greenery and for ease of watering. Plastic planters also lend themselves to be useful as a hydroponics watering system if desired. 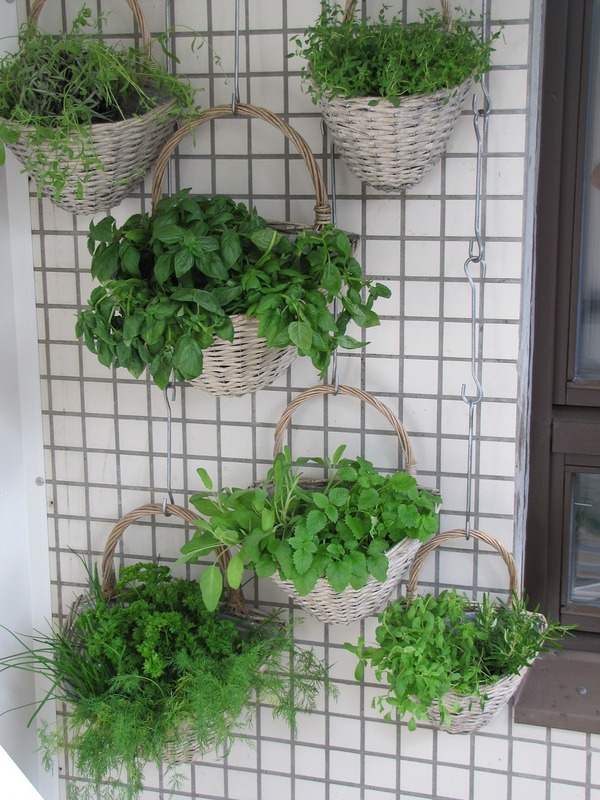 Maintenance of a vertical garden is very minimal. Once you have the system set up, minor care may be needed for upkeep of the system. Matts and wood applications can be repaired or replaced. 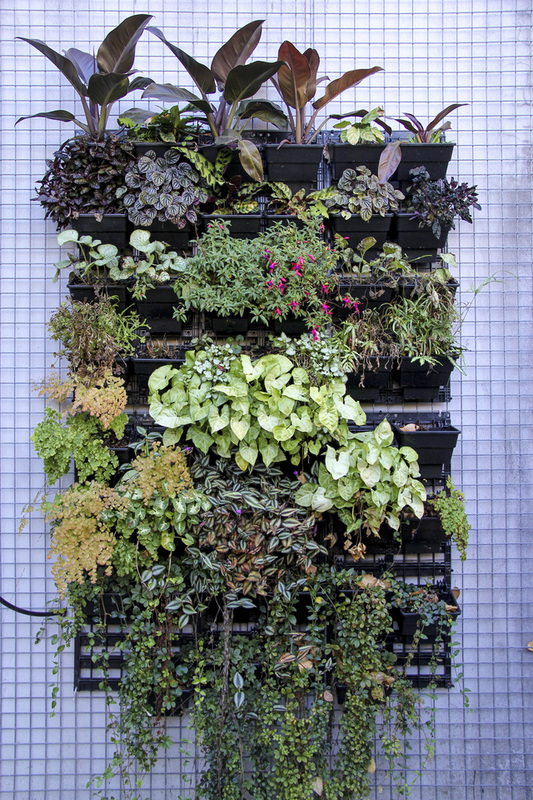 Whatever type of planter you choose, a vertical garden is a vision of beauty and function. These types of gardens are both easy and economical to manage. Vertical gardens create a live canvas for all to enjoy.